If a patient’s checkup reveals damage or infection, restorative dentistry is the best way to correct it. Dr. Vanderbrook will explain his findings, show you digital images of your teeth, and help you determine the best course of treatment. Our team considers all dentistry “cosmetic.” This means that we’ll provide a wide range of restorations to keep your smile white and attractive. Whether you need cavities filled, chips repaired, or awkwardly spaced teeth realigned, Dr. Vanderbrook will recommend the appropriate esthetic restorations to give you a beautiful, healthy smile. Contact our Lakewood Dallas area practice today to schedule a visit. Are you missing teeth? 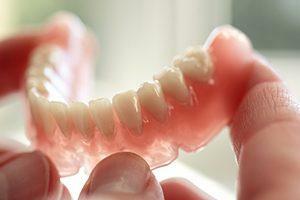 Many people struggle with uncomfortable, ill fitting, loose, or slipping dentures. Others need just one or two teeth replaced. 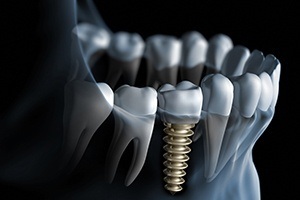 Dental implants offer a replacement tooth option that mimics nature’s design. Dr. Vanderbrook works with several trusted periodontists and oral surgeons in the greater DFW area, providing an interdisciplinary approach to dental implant placement. During a brief surgery, small posts are placed into the sockets left by missing teeth. 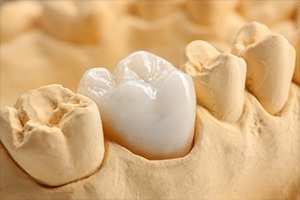 Each post can hold a crown, or a few at once can anchor a denture, partial, or bridge. With implants, you will not have to worry about special care routines, and your teeth will look, feel, and function like nature intended. Dental crowns and bridges can be used to correct teeth that have been injured, badly decayed, weakened, or even lost altogether. Dr. Vanderbrook’s goal is to recreate long-lasting dental structure that both looks and feels lifelike so patients no longer have to struggle with a smile that isn’t at its best. When it comes to treating cavities, Dr. Vanderbrook is happy to offer a valuable alternative to the age-old amalgam materials that so many patients are familiar with – tooth-colored composite resin. Composite resin is free of metals and comes in several lifelike shades that can be closely matched to natural enamel. The final result? A comfortable, biocompatible filling that blends right in with the rest of your smile. Losing one tooth is a serious matter, but losing several can make countless parts of everyday life more difficult than they have to be, from enjoying a steak in a restaurant to chatting with friends over coffee. 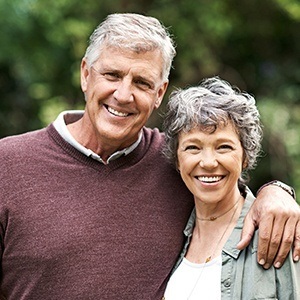 Here in Dallas, our dental team would like to introduce you to the benefits of today’s modern dentures, which are custom-made, attractive, and highly comfortable. Both partial and full models are available, and we may even be able to pair them with dental implants for a more stable and permanent fit.